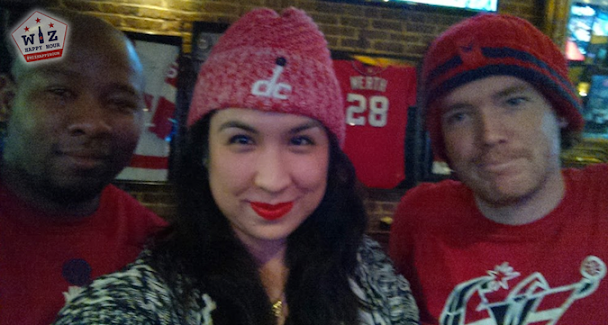 On Sunday night the Wiz Happy Hour crew headed down towards the Verizon Center to catch the Wiz/Nuggets game at Penn Quarter Sports Tavern, a neighborhood row bar by the Archives metro. While we had a struggle/amazing time observing some girls who thought the Pro Bowl was the Super Bowl (maybe), and while we almost died when Paul Pierce turned the ball over for a 5 foot jumper at the buzzer (missed), we had a great time watching, drinking some strong drinks and sort of listening to the Wizards win! 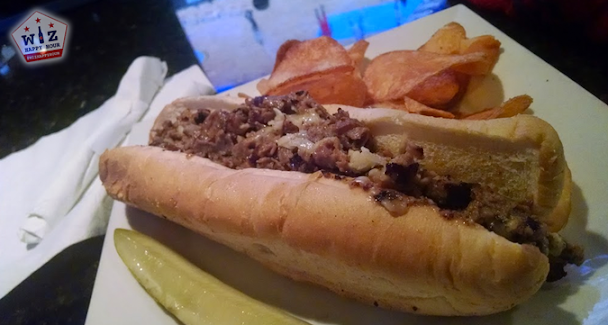 Every night of the week after 7pm, Penn Quarter Sports Tavern features one of their food items at half price. Sunday it is the cheesesteak which for a bar cheesesteak (Bars make notoriously bad cheesesteaks...still good but not good enough) was one of the better ones. When we arrived the sound for the Pro Bowl was on the speaker system but we convinced the bartender (who was a Wizards fan and was very knowledgeable...they are out there I swear) to give us the sound considering we were a few blocks away from where the team plays. After just a few minutes of Wiz audio we were informed that 2 girls and 1 guy had complained about the audio switch, and the bartender made the executive decision to go back to the Pro Bowl...possibly a big mistake (when the Wiz get disrespected we want you to email/tweet us and let us know the name of the bar, we have a list). These Pro Bowl fans were a whole other crazy story, click here to read that one. Eventually the crazies left and Wiz audio was restored. 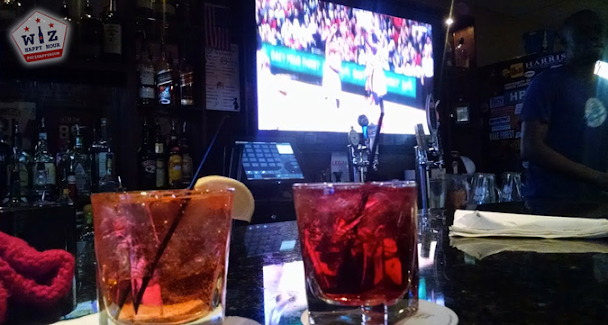 The bar wanted to close around the middle of the 3rd quarter, but we made them stay open not only til the end of the game, but with looks of horror on their faces, an overtime period. This, plus the bartender knowing Wizards bball, sort of redeemed them from their previous audio mishap. We had a fun time at Penn Quarter. While it is a skinny row bar they do have TVs on just about every inch of the wall (and a 2nd floor) so it isn't a terrible place to catch the game. If you are lucky and the Australian Open or Pro Bowl isn't on that night you could even find yourself getting sound. Good luck! See you out there & Go Wiz!